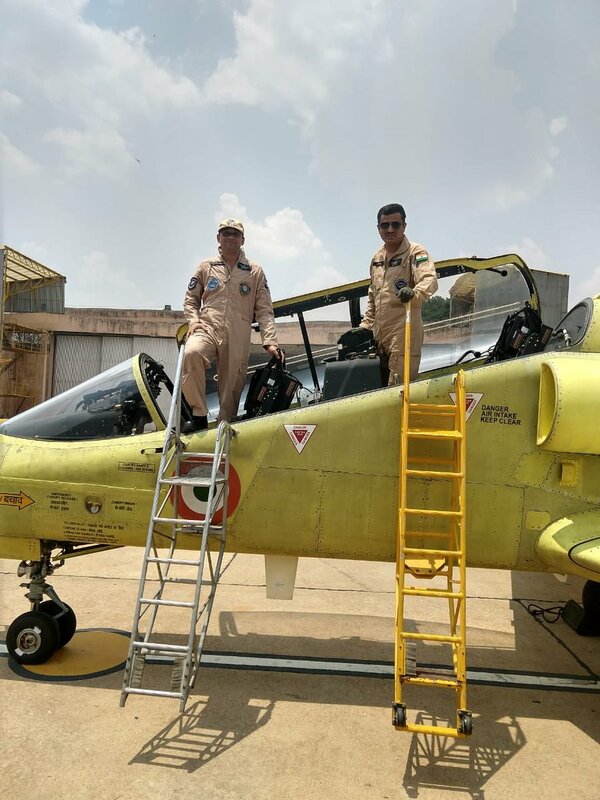 HAL has revived its intermediate jet trainer programme to help rookie IAF pilots and the first flight of heavily modified Hindustan Jet Trainer (HJT)-36 was carried out from HAL Complex in Bengaluru by Wing Commander Pratyush Awasthi (Retd) and Group Captain Subroto Chaki successfully today as per media reports. The chronic spin problem, which had grounded the aircraft for many years now, according to HAL officials has been addressed with changes made to the air frame and after few initial flights, aircraft will be available for Spin tests in coming weeks. The intermediate jet trainer has been facing the problem with the stall and spin trials which was never resolved and aircraft was declared unfit to be flown by rookie pilots due to which Government of India and IAF had stopped further funding for the program, a few years back. HAL was suggested to fix issues with HJT-36 with internal funds of the company or scrap the programme altogether. IAF In the absence of an intermediate jet trainer at Stage-II of Pilot training program had to rely on British Hawk 132 and Pilatus PC-7 Turbo Trainer due to the retirement of the Kiran Mk-II, which HJT-36 was supposed to replace. IAF has assured HAL that if HJT-36 clears all pending trials then it will be reconsidered for Pilot training program.